Accept the award, post in on your blog together with the name of the person who has granted the award and his or her blog link. Pass the award to a maximum of 15 other blogs (if you can 🙂 or have the time). Remember to contact the bloggers to let them know that they have been chosen for this award. Kelsey, congratulations! The award is much deserved. I will definitely also check out the blogs you have listed, especially the ones that are new to me. 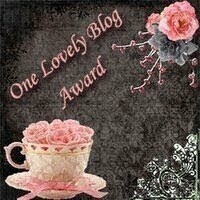 My very first blog award! Yay! I’m seconding Kristi’s comment. Thank you! Yay on your award and Congrats to the others!!! Congrats!! Keep up the good work! Thank you so much! I was thinking of combining my two blogs and incorporating my writing into my every last page blog, what do you think? Well, I love your writing site! But, it might be easier to monitor one blog instead of two. So, the question I would ask myself to help make this type of decision is “which blog inspires me to write?” Then base my decision based on my answer.